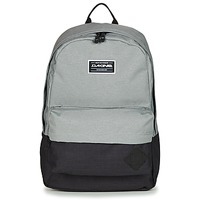 DAKINE Bags, Clothes, Accessories, - DAKINE - Free delivery with Spartoo UK ! A world travelling snowborder, unbelievable rider, surfer looking for the next big wave, or windsurf addict: if you love extreme sports, Dakine bags were made for you. Carrying your board with you, even to the other side of the planet, required technical equipment to allow you transport your belongings in the best conditions. That's why Dakine makes their products and always aims to respond the norms of quality that they have established in collaboration with top-level athletes. It's no surprise then, that Dakine means "the best" in Hawaiian. By designing high quality accessories with innovative and trendy designs, Dakine is a must have brand for extreme sports fans.